Heavy Haul and Specialized Trailer Trucking Company. We can help you with any heavy haul freight service you need. If you are looking for a heavy haul or specialized trailer trucking company, you have come to the right place. We have the right equipment and an experienced staff that can accommodate all your freight shipping needs. Get affordable transportation without all the nonsense! 24 Hour Freight Rate Quoting Service Call or Chat Now! Heavy Hauling Quote can help you with all of your equipment moves, from the small to large and from one piece to your whole fleet. Yes, if you need to move your whole fleet for job relocation we can coordinate the movement of many pieces at once with little stress to you. Whether you need a single trailer moved or your whole plant moved across town or across the country, we can do it with ease and in a timely fashion. Any size, any length – we move it with little stress to you. Heavy Hauling Quote utilizes the same truck to combine small LTL loads to be able to keep the rate affordable to the customer. We move several LTL loads daily. So give us a try – you won’t be sorry. Heavy Hauling Quote can handle any size of expedited freight, from the small LTL to the big oversize loads. From the moment you call, if you tell us you have an expedited freight shipment , we will get your freight rate quote to you in under 30 minutes. We understand your business needs and will tailor our services to them. Heavy Hauling Quote. is the one source for all your transportation needs and we have developed a system that accommodates all your equipment types. We are proud to announce the success of a business that becomes an extension of your own. Our main concern is to maintain superior transportation, on-time scheduling, as well as a good working relationship with our clients. Along with providing these reliable services, we also treat each piece of freight like it is our own! Heavy Hauling Quote. is geared towards providing your company with complete, realistic, no-nonsense ground service that encompasses all 50 states, Canada, and Mexico. Have an international load? Give us a call and see what we can do for you. We are a Heavy Haul and Specialized Trucking company that can help you with any of your freight hauling needs. 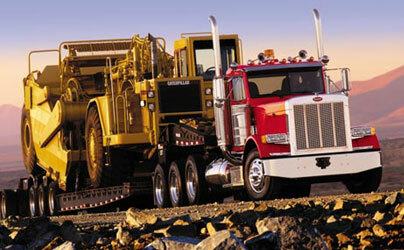 If you are looking for a Heavy Haul or Specialized Trucking company, you have come to the right place. We have the right equipment and an experienced staff that can accommodate all of your freight shipping needs. Heavy Hauling Quote can get your freight transported at an affordable price. Whether you need a truck in 30 minutes or 30 days, we can arrange transportation to suit you, 7 days a week, 365 days a year! We know you’re looking around at several hauling companies-well look no further! Our company is determined to provide you with the best service in the business! We take pride in the system we have developed to provide prompt on-time pickups and deliveries. We strive to maintain our reputation of providing Superior Transportation and Customer Satisfaction and building Great Working Relationships. Along with reliable service, our freight carriers are required to carry cargo insurance certificates for the full value of the freight being moved. Our company is one of the best hauling companies in the business! It was designed to accommodate all types of freight. We have trailers and equipment to haul anything from LTL (Less Than Truck Load), Full Loads, or Heavy Equipment. Heavy Hauling Quote is the one source for all your transportation needs and we have developed a system that accommodates all your equipment types. We are proud to announce the success of a business that becomes an extension of your own. Our main concern is to maintain superior transportation, on-time scheduling, as well as a good working relationship with our clients. Along with providing these reliable services, we also treat each piece of freight like it is our own! Heavy Hauling Quote is geared towards providing your company with complete, realistic, no-nonsense ground service that encompasses all 50 states, Canada, and Mexico. Have an international load? Give us a call and see what we can do for you.